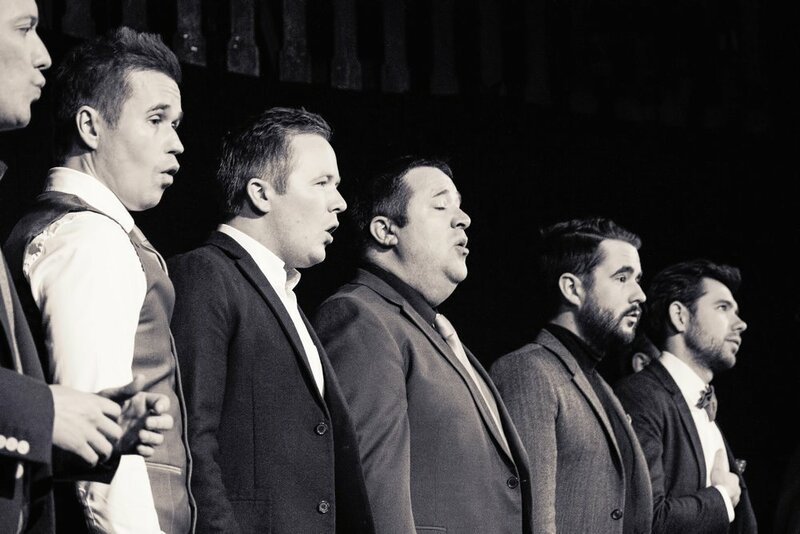 The Buzztones are London's premier a cappella fellas; an experienced, well-rehearsed and unique vocal group. We formed in 2011 as a group of friends looking to do what they love. Since that first dreary Monday night rehearsal above a north London pub, we've become the go-to act to bring that special 'buzz' to any event. We've notched up several live TV and radio appearances (BBC, C4, Capital FM); performed at major sporting events (FA Cup Final, Aviva Premiership Big Game 7 and Rugby World Cup 2015); staged two hit shows at the Edinburgh Festival Fringe; and changed numerous Facebook statuses from ʻin a relationshipʼ to ʻengagedʼ. What makes us unique? Well, we're no Glee inspired teeny-boppers. 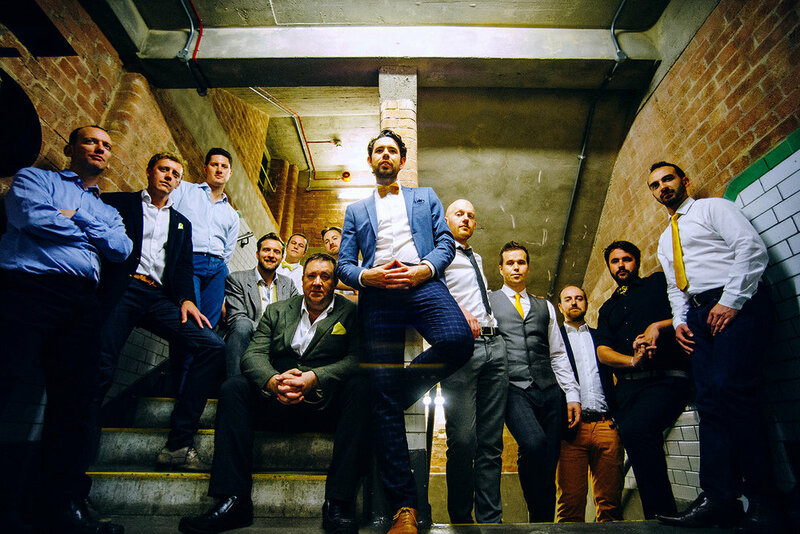 We're a group of friends - 14 grown men (not necessarily grown-up) putting their twist on all the latest tracks and bringing you a cappella as youʼve never heard it before. Gay Disco Medley – It’s raining men! Hip Hop Medley – It’s getting hot in here! Party Medley 2.0 – Because one is never enough! RnB Medley – Ready or not here we come! Spice Girls Medley – The perfect track to spice up your life! UK Garage Medley – Holler with the rinsin' sound? Deck the Halls – trad. The Buzztones are available for hire! I’d like to thank you all for the amazing performance you did at the event. You made the guests dance! You really did a wonderful job. Bravo! Our first gig was in 2011 and since then we’ve built up a vast experience of gigs of all shapes and sizes, in all sorts of venues for all sorts of occasions – from helping people ‘pop the question’ to singing in front of 90,000 people at Twickenham. We’ve done it all and enjoyed every minute of it. So whether you’re planning a frenzied flashmob, wanting to add some ‘buzz’ at a corporate event or seeking that something to make your special day unforgettable – we have you covered. Please provide location, timings and a description of the event if possible.